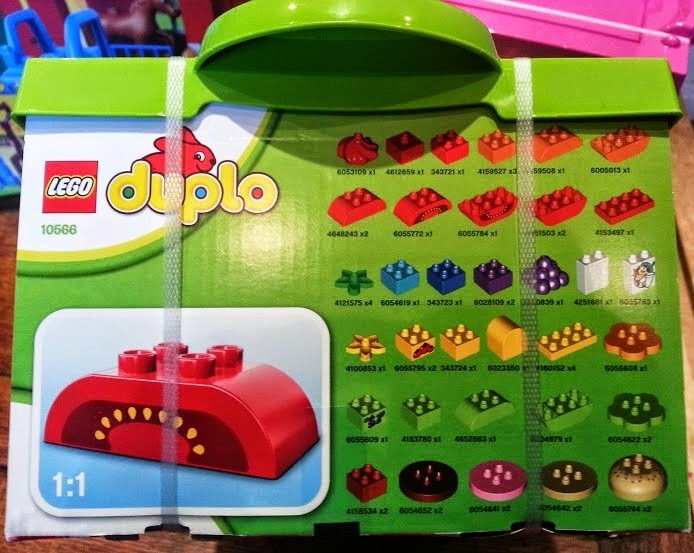 I love all LEGO, and LEGO DUPLO is fantastic for younger children to start to explore their own creativity and imagination, making up stories and worlds and gaining all kinds of valuable skills. Small children don't have the strength necessary in their fingers to push together, and pull apart, the little LEGO bricks, and they don't have the precision to create and play with a small model without frustration. LEGO DUPLO is a fantastic tool for building co-ordination and fine motor skills, which in turn gives younger children confidence and pride in their creations. 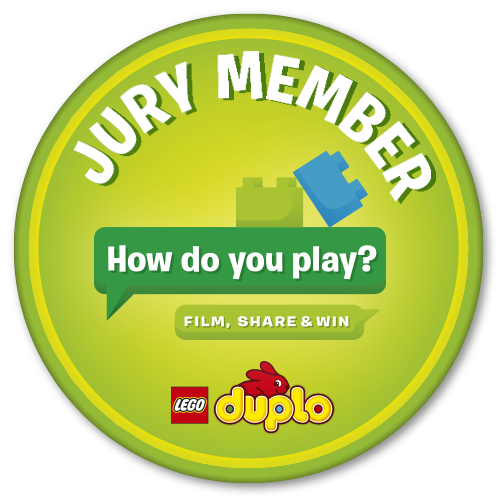 I'm really proud to have been asked to be on the jury panel for the LEGO DUPLO How Do You Play competition. I'll be helping to judge the final round, which will decide who will win a holiday to Billund in Denmark to the original LEGOLAND. 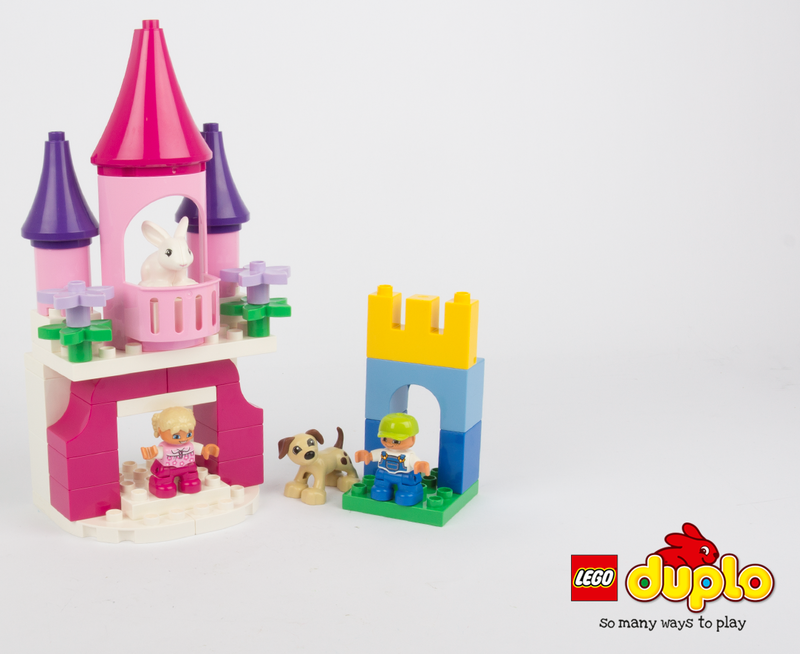 The competition is incredibly easy to enter, you need to film your children playing with their DUPLO. We want to see imagination and creativity in action. Submit your video of no more than 30 seconds to the app. on the LEGO DUPLO Facebook page. 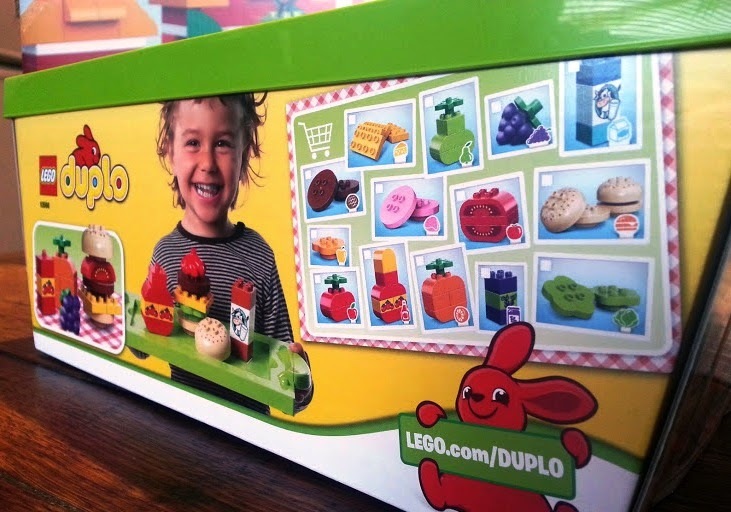 LEGO DUPLO have also very kindly sent me some sets to keep, or give away to my readers. My youngest child is now 4, he has been practising with little LEGO for a couple of years and is now pretty good with it. Although my little boys would love to keep the LEGO DUPLO, I don't think it would get the play it deserved and we're very lucky, we have lots of LEGO here, so I've chosen to give away my sets. The first set I'm giving away is the Creative Picnic Set 10566. 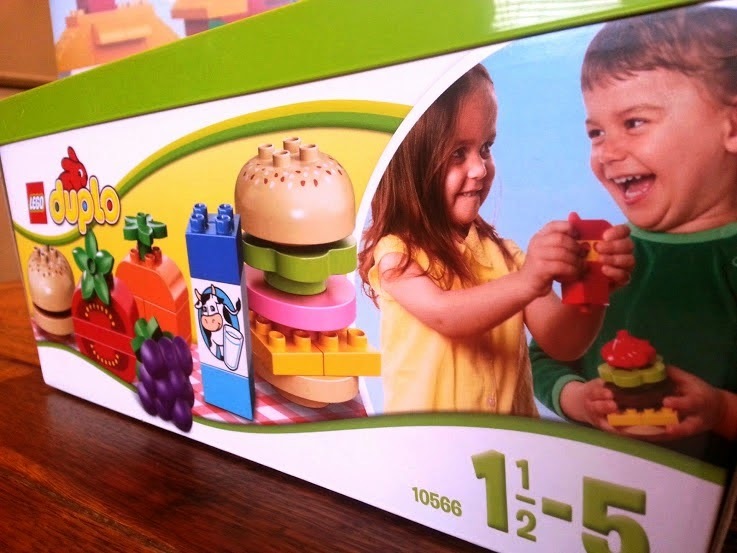 Suitable for children from 18 months, it is a lovely set with 52 chunky pieces which are too big to swallow, and including everything you need to make a delicious meal. Using familiar items, in really simple shapes and an everyday setting, means that children have a good idea of what to do without play having to be led by adults, so they can work independently. It promotes thinking for themselves, problem-solving and decision-making. 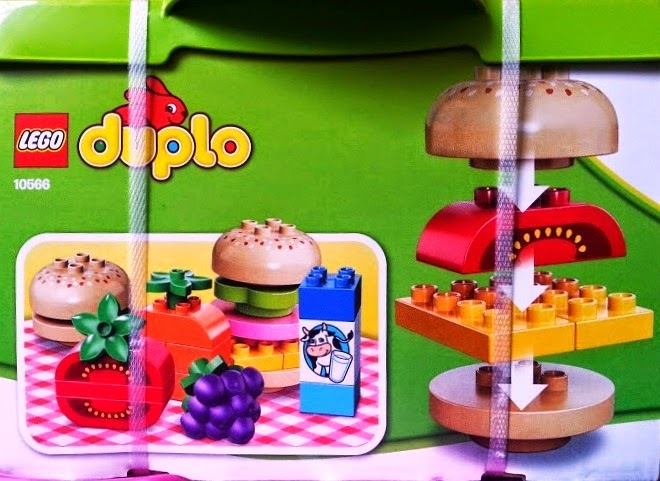 The Creative Picnic set has a recommended retail price of £19.99 and makes an ideal starter set for a child new to LEGO DUPLO, or a brilliant addition to bricks you already have. As I have to pay postage the giveaway is UK only, my apologies to everyone else. Entry to the giveaway is by rafflecopter form below. The first question is mandatory and must be answered as a comment to this post. Extra entries can be gained by completing additional tasks within the rafflecopter. Please read the additional terms and conditions at the bottom of the rafflecopter form. This giveaway will end at midnight Friday 23rd May when the timer will end and no more entries will be allowed. Lots of fresh, crusty bread, pate and olives, and a cold bottle of wine! Strawberries and definitely crusty bread plus of course chocolate! my little one's fave is sausage rolls! Scotch eggs - I keep seeing them mentioned everywhere and I haven't had one for years. We used to always take them on picnics and I can't think why we stopped. Scotch eggs, sausage rolls, pork pies and cocktail sausage! Sandwiches, scotch eggs, pork pies, cheese, a cake, flask for coffee and juice! A filled round loaf. A round crusty loaf, hollowed out and filled with layers of meat, cheese, veg, basically whatever you fancy or is in the fridge, with the top put back on. Wrapped in foil and weighted down then baked in the oven. Slice of that is full of all kinds of picnicky goodness!! juice, sandwiches, scotch eggs, salad and sausage rolls, oh and crisps! The wife to look after me. My family (for the company, not to eat obvs hahaha). Food would be sandwiches, crisps and apples. Easy stuff cos we'd be on the beach! Pasta salad, fruit salad, homemade cake, mini wraps and a big blanket. I will bring lot of money and get from any shops. I like hot meal. No picnic is complete without sausage rolls, strawberries and I also love to take home made falafels. mini pork pies, chopped fruit and grapes, crusty rolls, pringles, fruit juice, cocktail sausages. It's not a picnic if you have no potato salad. But, make sure you keep it cool! Wine, cheese and bread is my perfect adult picnic! We always take lots of treaty things like pork pies, sausage rolls, cake oh and usually some strawberries to at least feel a bit healthy! Chicken wings, egg mayo sandwiches, cheese and pickle sandwiches, sausage rolls, chipolatas, scotch eggs, wine. Sandwiches, sausage rolls, potato salad, and drinks! Lot's of lovely sandwiches, pop, crisps and sweets! Sausage rolls, pork pies, rolls, strawberries, fairy cakes. Greek meze! Like dolmades (stuffed vine leaves), hummus, crusty bread, olives, salad, a big slab of cheese... This is making me hungry. I would take egg sandwiches cut in triangles! Lots! Bread, hummous, greek salad, carrot sticks strawberries and maybe some wine! Sandwich's fruit, crisps & cake. Strawberries, cream and insect repellent! Would have to be Fresh Bread, cheese and pickles - A cricket set to keep the kids entertained - lots of comfy rugs and pillows to lounge on and a few bottles of chilled beer - Perfect! A picnic treat for the children would be babybels, mini sausages, cupcakes and fruit salad. A more grown up picnic would involve lots of cheese, bread, pate, cold continental meats, chocolate and perhaps a bit of bubbly! Scotch eggs, sausage rolls, pork pie, strawberries, cakes! mini pork pies and cocktail sausages for me!! Wine, fresh breads, cheese, crackers, pate and cold meats, yum!!! mini quiches and fresh fruit salad, and a bottle of bubbly for the adults. Strawberries...lots of strawberries and a bottle of champagne. I'd take mini sandwiches, strawberries and some sparkling mineral water. Sandwiches, boiled eggs and fruit. Milk tart and koeksisters, South African favourites, yum!